Xiaomi Redmi 3 represents a significant upgrade over the Redmi 2, it is a very cheap smartphone when you consider the impressive array of features it comes with, unlike it predecessor it is coming with a promising and more durable build, a bigger IPS display, better cameras and a more robust processor. 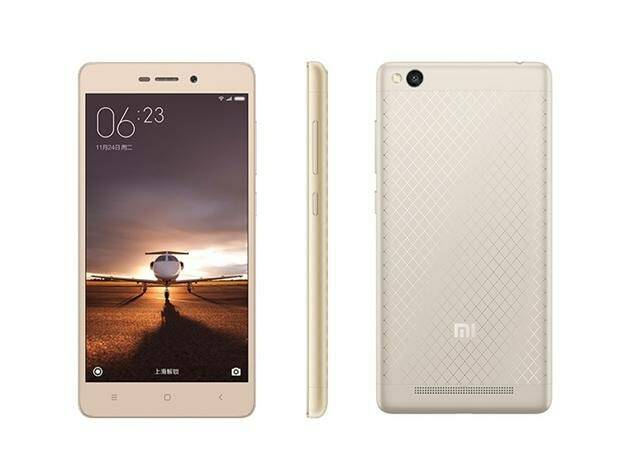 Unlike the Redmi 2 which is sported with a glossy plastic construction, but its successor offers a more premium design. Xiaomi Redmi 3 still retains plastic in its construction, but aluminium has now been added to enhance solidity. It measures 139.30 x 69.60 x 8.50 (height x width x thickness) The phone comes with a 5.0-inch touchscreen display with a resolution of 720 pixels by 1280 pixels. The Xiaomi Redmi 3 packs an amazing pair for it camera as it rocks a 13-megapixel camera on the rear with LED flash and hybrid phase detect autofocus and it also, records 1080p videos at 30 frames per second while for the front you get a 5-megapixel front which also boasts 1080 video recording capability shooter for selfies. I will just say wow to this device, Xiaomi Redmi 3 is nice considering the fact that it is a mid-range device with nice specs, it produce nice shots in terms of camera, decent battery life, a suitable screen size and most importantly is has a 4G Lte connectivity allowing you access the net with ease, offering a super fast speed.